As soon as I saw the trailer for this, I wanted to go and see it. As I sat down in the cinema and the Disney logo appeared, I was excited for what I was about to see. It felt christmassy and it made me feel extremely festive. I love the story of the Nutcracker and the ballet, so I thought I would love this. With the likes of Helen Mirren, Morgan Freeman and Keira Knightley, I thought it would do justice to the beautiful tale. 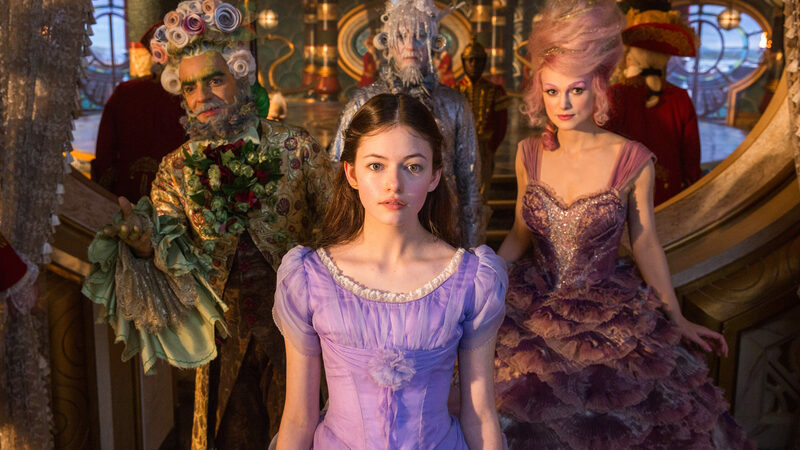 The plot follows a science-mad heroine Clara (played by Mackenzie Foy), as she grieves her mothers death. On Christmas Eve she is given a mechanical egg as the last gift from her deceased mother, but the key to open it seems to be missing. After attending a party given by her godfather (Freeman), he leads her to the key through a magical land filled with anthropomorphic animals and lands filled with sweets, flowers and snow. As she discovers her mother was the Queen, the kingdom bowes down to the princess. As it is revealed that the leader of the fourth realm (Helen Mirren) has the key, she knows she must get it back in order to open the egg and save the kingdom. - I hope this makes sense...it was a hard one to explain without spoiling it! The sfx are good and the costumes magical, but the pacing is slow and tiresome. It doesn't give enough character development, and I felt it dragged at times. It's such a shame as the story is so enchanting, but I just felt that this adaptation fell down in how long it felt. Keira Knightley's voice is also incredibly annoying (I know she is the Sugar Plum Fairy but still). I wish I had something more positive to say about the film as it had all the makings of a great motion picture, but I felt that it just missed the mark.